In recent years, the packaging industry packaging products, packaging materials, steady growth in packaging, new materials, new technology, new technologies, new products continue to emerge. 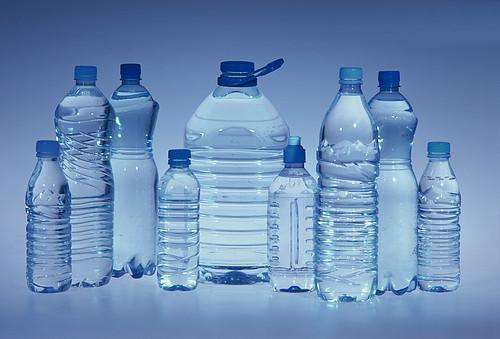 As the plastic bottle in the plasticity of the material is often relatively strong, which makes a lot of packaging new technology in the application of plastic bottles to be far easier to glass bottles. Speaking of plastic bottle packaging, we are more concerned about the plastic bottle packaging design and related problems. In fact, the plastic bottle is only one of the entire packaging line, must be matched with the plastic machinery in order to complete more efficient product packaging production. A plastic bottle packaging production is completed, first through the blowing machine blowing. This involves the blowing machine in the production of plastic bottles in the process is efficient, the quality of plastic bottles can be guaranteed, as well as the degree of automation of the blow molding machine and so on. With the development of the domestic plastic bottle packaging market, plastic blow molding machine industry has also been rapid development, and gradually in the blowing equipment manufacturing on the formation of their own advantages. It is widely used in beverages, pharmaceuticals and cosmetics and food industry, and attracts more and more manufacturers to choose the blow molding machine to replace the previous bottle of tools. In many products, multi-layer co-extruded hollow blow molding machine is a very promising development of a class of hollow blow molding machine. With the multi-layer blow molding high-barrier hollow products in the field of hollow products accounted for an increasing proportion, making multi-layer blow molding products not only in the food packaging industry, rapid development, but also in the chemical and cosmetics and medicine and health and other industries Packaging is also growing rapidly. In addition, the production of plastic bottles also involves the design and use of mold cycle; when the plastic bottle produced, the assembly line will be related to filling. Plastic bottles can be filled with filling machine with the perfect match, the efficiency of filling and so on are very important business links. Mold as a molding tool, its design, manufacturing level, directly related to the quality of products and replacement. In order to meet the needs of today’s market for plastic bottles of all kinds of shape design, it requires the mold design team will be all kinds of bottle design concept into reality; for the mold life will be longer, in the manufacturing process, mold processing equipment selection Vital. The filling machine in order to adapt to these different shapes of plastic bottles, had to develop the so-called universal filling machine. Filling measurement from 0 – infinite, the equipment can adapt to all bottle type, which also reflects the combination of real productivity and theoretical technology. The development trend of filling machinery has continuously improved the automation degree of stand-alone machine, and improved the automation control level and production capacity of the whole packaging production line. In addition, the plastic bottle recycling is related to the plastic bottle recycling machine and plastic bottle crusher and other plastic machinery. Plastic bottle recycling industry is a matter of public participation. Plastic bottle intelligent recycling machine, through the existing Internet technology and model for recycling channels, from the source to reduce the cost of recycling, the flow and data to do the whole traceability, but also in line with the direction of renewable resource recycling development; plastic bottle crusher, is The use of waste plastic products for recycling granulation one of the necessary equipment to meet the domestic and international environmental requirements for waste plastics recycling. Only plastic bottles will be integrated into the entire packaging machinery production line, or even the entire packaging process, such a plastic bottle packaging in the future high efficiency requirements of the production market will have more competitive. Similarly, the sustainable development of the plastic bottle packaging industry also requires the common progress of related equipment and machinery industry. If you want any needs about plastic bottles, please feel free to contact us.